Just “For your Information” Topic! I know I promised some people that I am going to post something sport related but I haven’t figured anything out, so.. This had been my most favorite topic in Biology before, and in light of recent events of some people having fallen to the grasp of Dengue, I want students to be aware of their own blood types. Hope this helps! Blood is the river of life, which courses through our bodies. It is the medium through which nutrients and oxygen are transported to each and every part of the body and waste is taken out. It also functions as the defense mechanism, through antigen mechanism present in red blood cells and the white blood cells. When blood transfusion, that is blood transfer from one man to another, was attempted, it was discovered that there are blood types! You cannot randomly transfer blood from one man to another without checking if their blood types match. This article explains why it’s important to have a blood type test and how a blood group is determined. A ready reference in the form of a chart has been provided, which indicates blood transfusion compatibility. How is a Blood Type Determined? 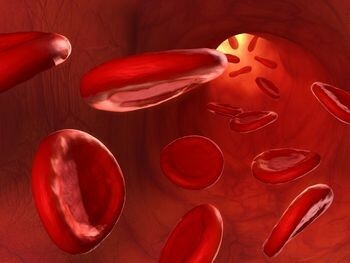 The red blood cells primarily decide your blood type. The type is decided by certain inherited substances on the surface of red blood cells called ‘Antibody Generators’ or ‘Antigens’ for short. Anti bodies constitute the defense mechanism of the body. Antibodies are a sophisticated offensive mechanisms of the body against pathogens or germs. Like guided missiles, these antibodies are generated to exterminate specific target pathogens. The type of antigens that occur on your red blood cell surface are inherited from your mother and father. These antigens have the blueprint for creation of antibodies. So antigens are important parts of red blood cells and it is what determines a blood type. These antigens may be carbohydrates, glycoproteins, glycolipids or carbohydrate coatings on the red blood cells. One can classify blood into different types based on the presence or absence of these antigens on the red blood cells. There are 30 different blood classification systems or blood group systems based on the occurrence of different antigens. A complete blood group classification system will have to involve the recognition of about 30 types of antigens on the red blood cells. However the most widely used classification system is a combination of the ABO and the Rh (Rhesus Factor) classification systems. Under the ABO blood type classification system, blood type is decided by presence or absence of A-Antigens and B-Antigens. The Rhesus factor classification system is based on presence or absence of the Rhesus-D antigen. The chart provided here is based on a combined ABO and Rhesus factor based system. There is one more important antigen on the surface of red blood cells which also needs to be considered. It is called the Rhesus-D antigen. This antigen mechanism is again inherited from your mother or father. This adds another qualifier to a blood type under the ABO blood group classification system. A person with any of the four blood types may be Rhesus D positive (Rh+) or Rhesus D negative (Rh-). So that increases number of blood types to eight (A Rh+, A Rh-, B Rh+, B Rh-, AB Rh+, AB Rh-, O Rh+, O Rh-). Although the antigen mechanism is inherited from your father and mother, it lies dormant until there is a need for it to get into action. The anti-A antibodies and Anti B-antibodies are created during the first months after birth, when an infant’s gut is infected by bacteria, through food. The Rh-D antibody is generated through placental sensitization (that is when an Rh+ mother exchanges blood with the infant at birth) or through blood transfusion. The following chart is intended to convey the compatibility issues during blood transfusion. It shows which type of blood can be safely transfused to which other blood type. That is, it shows which blood types can be ‘donors’ to other type of blood type ‘recipients’. There are three types of blood transfusions that can be made according to the blood components that are donated (Red Blood Cells, Plasma or Whole Blood). The compatibility for all three is different, as shown in the table below. Here the Rhesus factor is also taken into consideration. There are certain rare blood types which have certain rare antigens. If you compare blood types percentage around the world, O Rh+ blood type is the most common and AB Rh- is the rarest. As you can see in the chart above, AB Rh+ is the universal recipient for red blood cells. O Rh-, although previously considered to be a universal donor of red blood cells, is no longer considered so, due to transfusion compatibility problems! Donate blood at least two times a year, as it can save lives of many people who are in need of it! Just some fun data about personality people of each Blood Types… Just tell me if it’s accurate! ang ybang mo nmn. eehy panu kung ayaw lng tlgang mg comment may mgagawa ka ba. grabe nmn po mam ang haba nmn po msyado nian. so kaler-k hahahaha..